On 31 March 2005, the World Bank’s board approved US$270 million in guarantees and loans for the Nam Theun 2 dam. It did so in breach of its own policies. By Chris Lang. Published in WRM Bulletin 93, April 2005. Back in 1989, when Australian company Snowy Mountains Engineering Corporation was hired to produce a World Bank-funded feasibility study of Nam Theun 2 hydropower dam, the project under study was a dam to generate electricity for export to Thailand. Sixteen years later, generating electricity appears to be a side-product of a project aimed at alleviating poverty. On 31 March 2005, the World Bank’s board of directors approved US$270 million in guarantees and loans for the dam. “We are only interested in doing what we can to help some of the poorest people in Asia get more money so they can have a better life -and that’s the purpose of the Nam Theun 2 hydro-electric project,” Peter Stephens, a World Bank spokesperson in Singapore, told Voice of America. As Stephens is fully aware, the project will lead to increased debt for the Lao government, will flood 450 square kilometres of forest, wetlands, fields and villages. It will involve the forced eviction of 6,200 people and will destroy the fisheries and livelihoods of a further 120,000. The project will destroy large areas of the last remaining habitat of the endangered Asian elephant and white-winged duck. 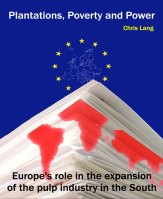 The World Bank’s involvement ensures a series of lucrative contracts for international companies. EDF International of France leads the Nam Theun 2 Power Company, the consortium building the dam. The other members of the consortium are the Lao government, Italian-Thai Development and the Electricity Generating Public Company of Thailand. The developer’s engineer is Germany’s Lahmeyer International. Not surprisingly, World Bank President James Wolfensohn disagrees. His job, after all, involves running an institution with an immense capacity for self-delusion. “Our decision, after a lot of deliberation, is that the risks can be managed; in fact, one major reason we are involved is to help manage those risks,” said Wolfensohn in a statement released by the Bank after the Board decision. 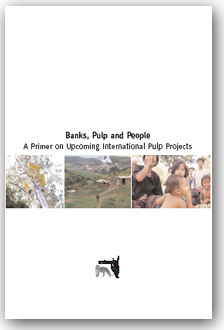 The World Bank has been involved in the Nam Theun 2 project since funding the feasibility study in 1989. 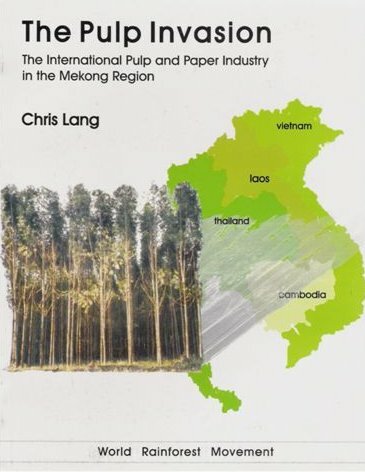 Since then a Lao military-run logging company has made millions from logging the reservoir area. Thousands of people on the Nakai Plateau have seen their livelihoods destroyed. Although international consultants have benefited from millions of dollars worth of studies on the project, the World Bank has failed utterly to “manage the risks”. James Chamberlain is an anthropologist who has lived in Laos since 1965. In 1997, he was the team leader of a “consultation” process on the Nam Theun 2 project. A 1997 World Bank video records his comments about three groups of Indigenous Peoples living in the area of the proposed project. “They are primarily hunters and gatherers traditionally, with little or no agriculture, depending upon foraging and nomadism as a way of life,” said Chamberlain. They speak a Vietic language which is unrelated to the other language groups in the area. Chamberlain described them as “almost extinct”, with cultures that are “very, very different than anything else we have ever run across. Chamberlain’s team recommended that these Indigenous Peoples should be allowed to remain in the forest. “We think of this as being a conscious decision on the part of those people as to their preference of lifestyle and their preference of a place to live. It’s an ecological preference,” Chamberlain said. But Chamberlain’s recommendations were ignored. 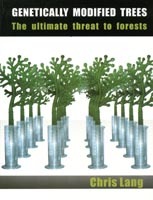 In 2000, as the World Bank-funded Panel of Experts on Nam Theun 2 has documented, the Lao government evicted 34 households of Vietic speaking peoples from their spirit forests to a village called Ban Nakadok. The next year, ten more families were forced to move to another village, Ban Nathon. Several Vietic households died shortly after being moved to Ban Nathon in the mid-1970s. 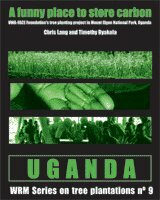 Having previously recommended that Vietic people should not be moved, in its latest report (February 2005) the Panel of Experts recommends that the project developers should hire an NGO to work with Vietic communities. 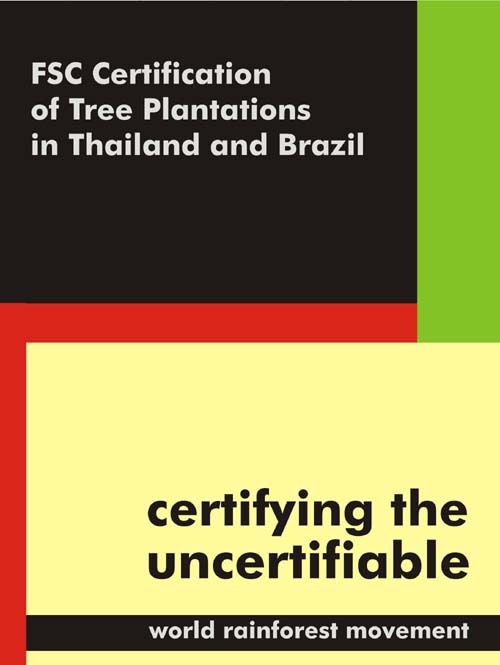 The NGO consultancy would be, according to the Panel of Experts, “for the purpose of better understanding their current status, identifying their relocation preferences and improving their livelihoods.” In other words, the project developers, the Lao government, the Panel of Experts and the World Bank do not even know Vietic speaking peoples’ “current status”, let alone their “relocation preferences”. This amounts to little more than an admission that the project developers have paid no attention to either Chamberlain’s recommendations or the World Bank’s policy on Indigenous Peoples. The eviction of Vietic speaking people from their spirit forests is not only in breach of the World Bank’s safeguard policies. For the people concerned it is a matter of life and death. Nam Theun 2 will become another in a long list of World Bank boondoggles. But it is also conclusive proof (as if yet more proof were really needed) that the only way to stop the World Bank from repeating the same mistakes is to close it down.